Our parish has many facilities that are open to parishioners for hosting events and activities. These include our outdoor Pavilion, Shepherd's Cove, the Covenant Creek Centre and a media room. Descriptions of our facilities and contact information for reserving these areas is provided below. This comfortable meeting space supports up to 50 adult guests with round tables. Sitting area with fireplace and sound system to play your music is next to a full functioning kitchen for meetings, adult gatherings and small events. Rental requires a signed contract as well as Archdiocesan Insurance Coverage. Click here to contact Sheryl Fischer or call 410-257-3810 x15. Centrally located on the church property between the school and chapel/church, this 200 capacity room supports the religious, social and service events of our parishioners by making available our facilities for your community use. As we do this, we must ensure that all events in our building meet both our community standards, and comply with the policies of the Archdiocese of Washington. The Centre at JGS is a large multi-purpose room for activities or catered events. A large screen covering the full window can be lowered for presentations and public address microphone and speaker. Kitchen space is available for staging / setup but no event cooking is permitted. You can arrange for caterers to come in for your event, and also caterers are not allowed to cook in the kitchen. Rental of the Centre requires a signed contract as well as Archdiocesan Insurance Coverage. 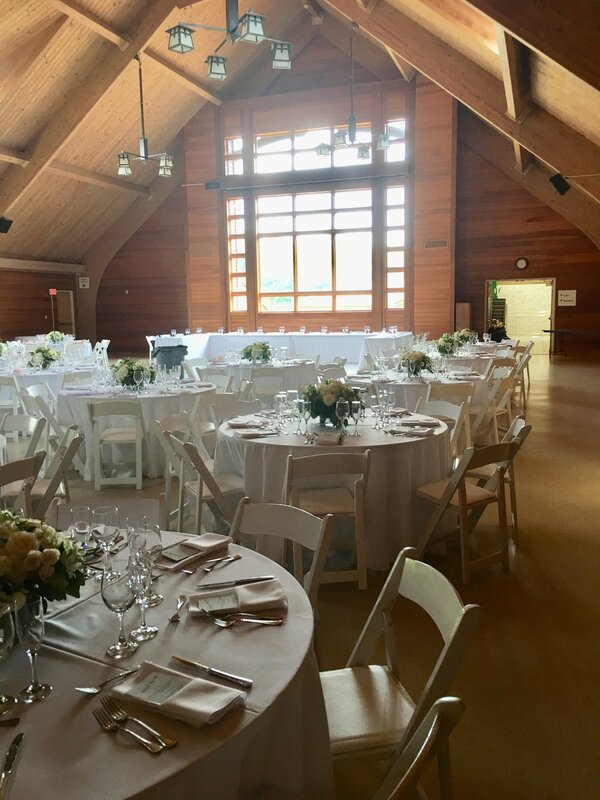 For additional information regarding catering, availability and costs associated with the Centre, please contact Kim Addison at kaddison87@gmail.com or 410-474-2258. A perfect meeting place for 15 people in a conference room setting along with an area with couches to relax and read. Room is equipped with WiFi, local TV, and HDMI monitor connections for your laptop presentation. Enjoy a cup of hot coffee or tea in this private meeting space. To reserve the space, click here to contact Sheryl Fischer or call 410-257-3810 x15.